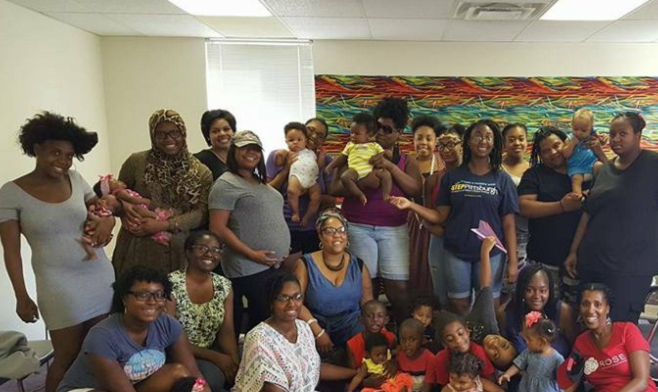 Ngozi Doreen Tibbs is the co-founder and leader of the Pittsburgh Black Breastfeeding Circle in the Strip District. 90.5 WESA's Noah Brode spoke with Tibbs about helping black moms learn the hows and whys of breastfeeding. NOAH BRODE: So, I'd like to start off by going over some of the benefits of breastfeeding, and why new moms are often encouraged to breastfeed. Only 15 percent of Pennsylvania mothers breastfeed their babies up to six month without supplement, according to a recent CDC study. Despite the health benefits of breastfeeding, many mothers receive conflicting messages, especially after they have their first child. In her article “Barriers to Breastfeeding,” PublicSource reporter Andrea Frazier looks at why breastfeeding rates in the Pittsburgh region have been unusually low and what health professionals are doing to increase awareness. We’ll also hear from Ellen Rubin of La Leche League, a local organization helping women successfully breastfeed their children through education and outreach.